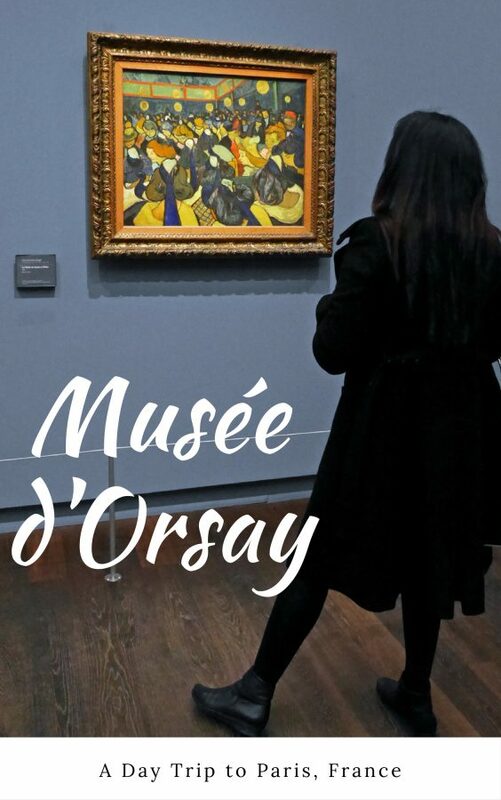 The last time I was in Paris, I had intended to revisit Musée d’Orsay. I first went there about 30 years ago and went back some years later with my mother, taking her to Paris to cheer her up after my father’s death. It wasn’t until he died that I discovered she had never been there. I still suspect he took to his grave some mysterious romance before he met my mother. 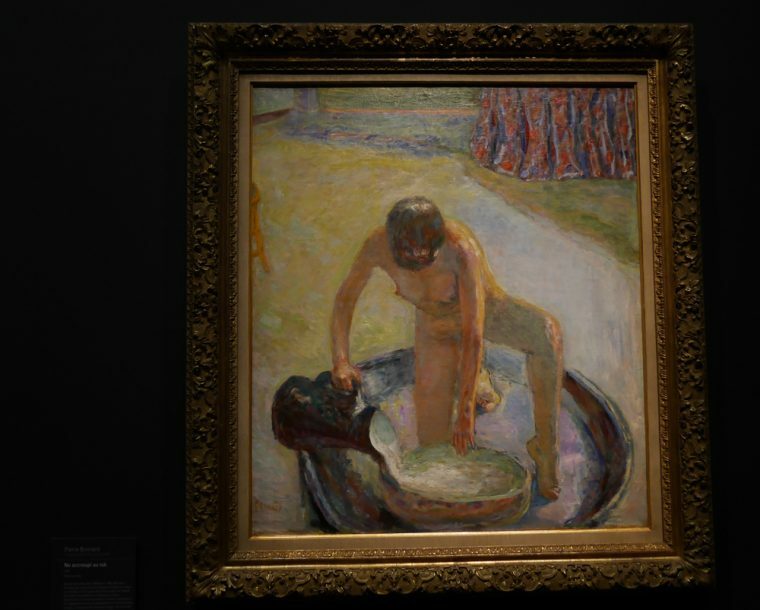 No matter how much she asked to go, he wouldn’t take her, though they travelled extensively, everywhere else in Europe (even the Mercedes museum in Stuttgart, as she wryly told me!). 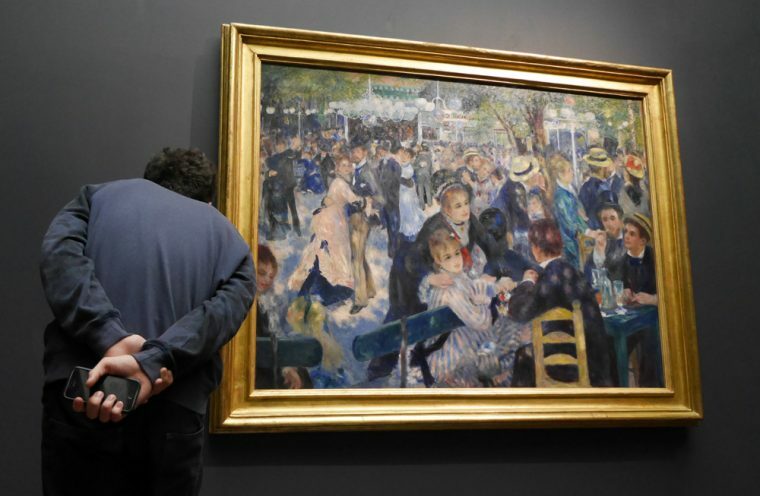 Since she was an Art enthusiast, it was an obvious destination and I still remember how excited she was at seeing the collection of Impressionist and Post-Impressionist art for the first time. 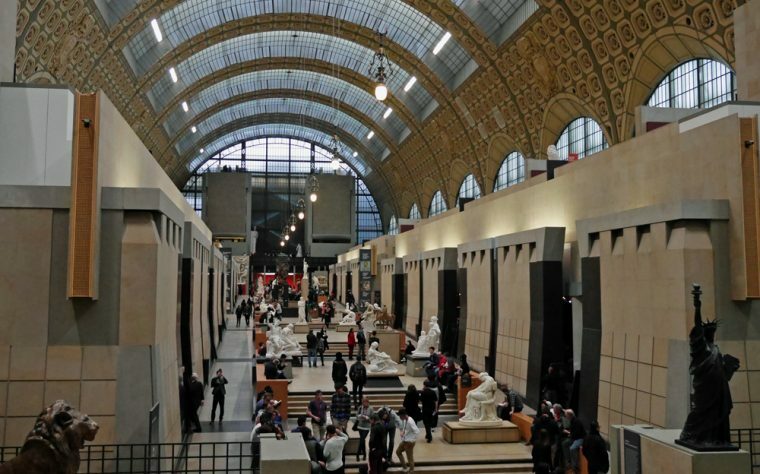 For me, Musée d’Orsay rather than the Louvre is home to France’s Art heritage. But, it is closed on Mondays and the last time I was in Paris, I arrived on a Sunday evening and left early on Tuesday morning. This time, I was a woman on a mission! 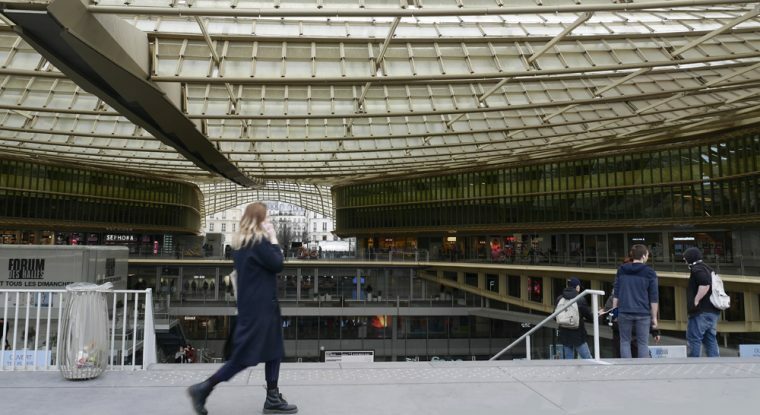 I not only made it to the museum but preceded the art and culture with a little light shopping and a visit to Champeaux, Alain Ducasse’s latest venture in Les Halles. 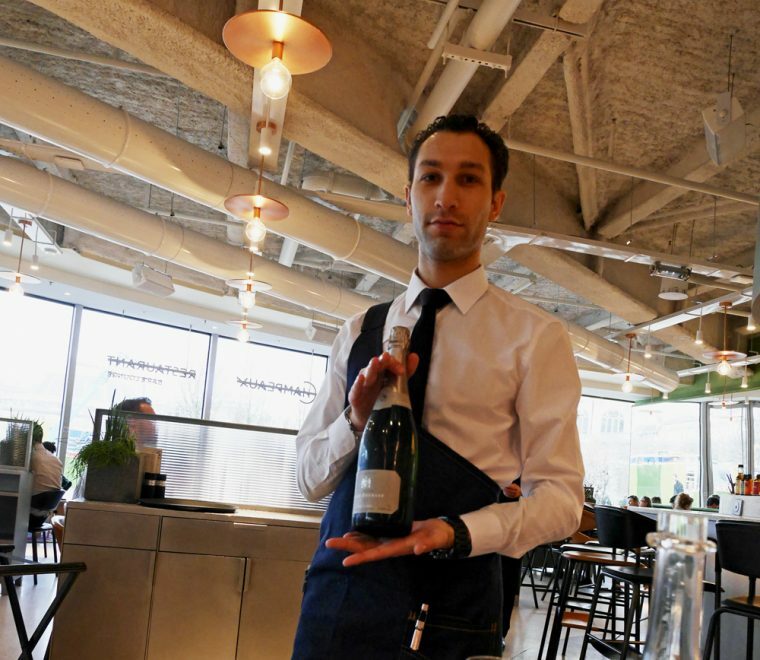 It did fit my needs perfectly – fine dining alone isn’t fun but a lively bistro gives ample opportunity for people watching AND is quintessentially French. Inside, the bistro is out of Shoreditch via Scandinavia. Chic and modern with that open pipework on the ceiling but with particularly comfy banquettes and rather stylish leather covered chairs I wouldn’t mind having at home. There’s a lounge area for informal meetings and a swanky bar, though I didn’t see a single cocktail. In a fit of silliness, I ordered the snails to start. 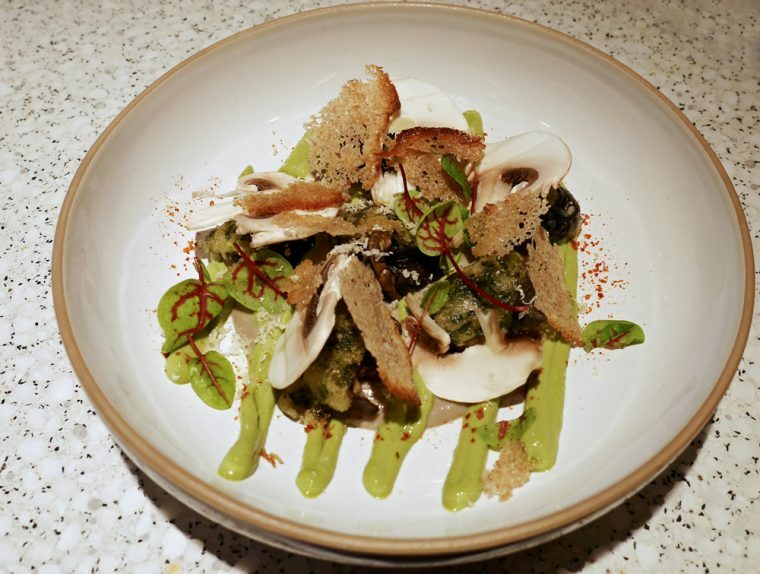 They came with a creamy puree of mushroom and horseradish and a piquant sorrel sauce. Tiny morsels of melba toast curled over the little brown pearls. I was actually taken by surprise, I’d expected a classic dish and what I actually got was closer to fine dining. 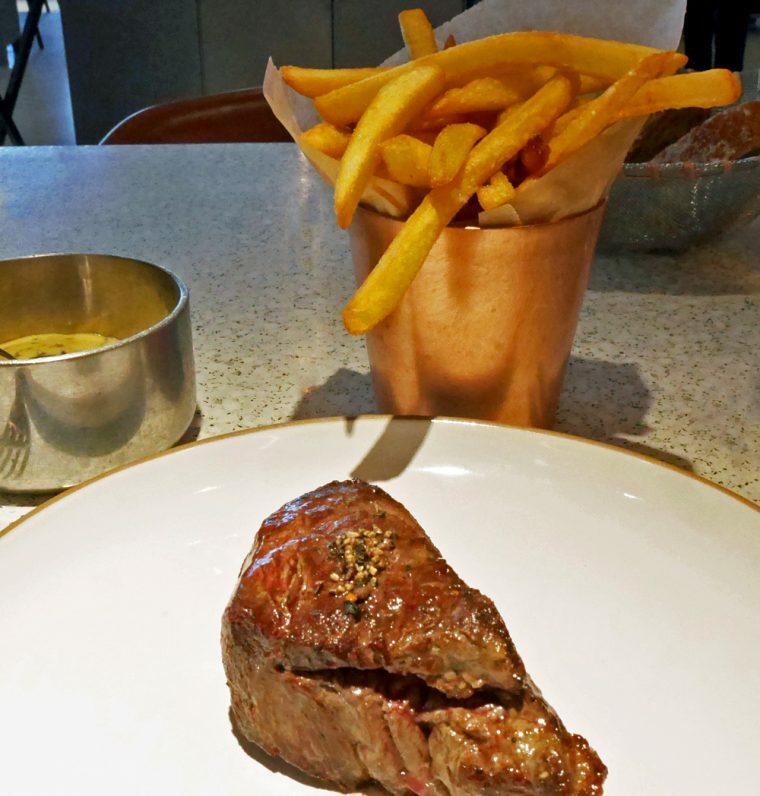 For main, I tried to order a hanger steak (in french) but actually ended up with a more expensive fillet. Karma, I thought, as my one attempt at being frugal went out of the window. 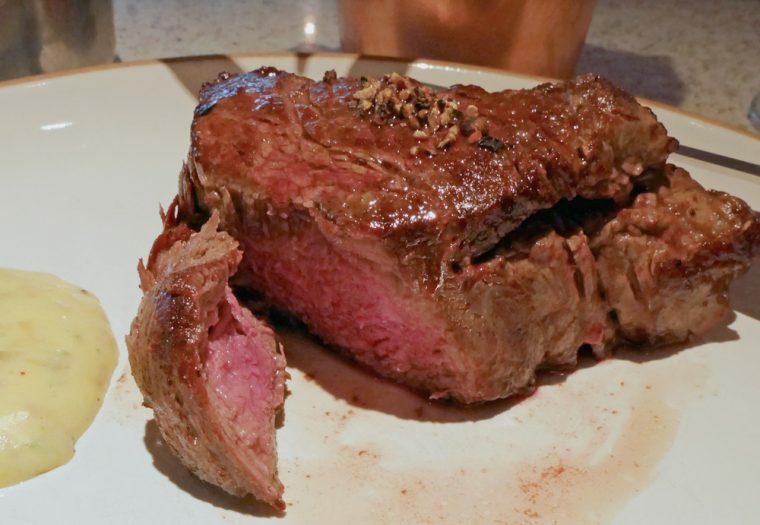 My saignent steak was buttery and full flavoured with a perfectly seared exterior. Full marks both to the chef and to whoever sourced the meat. And the béarnaise was the real thing – homemade and very fresh tasting. I should have ordered a salad, but went for fries instead and then couldn’t eat them all, despite the fact that they were delicious. 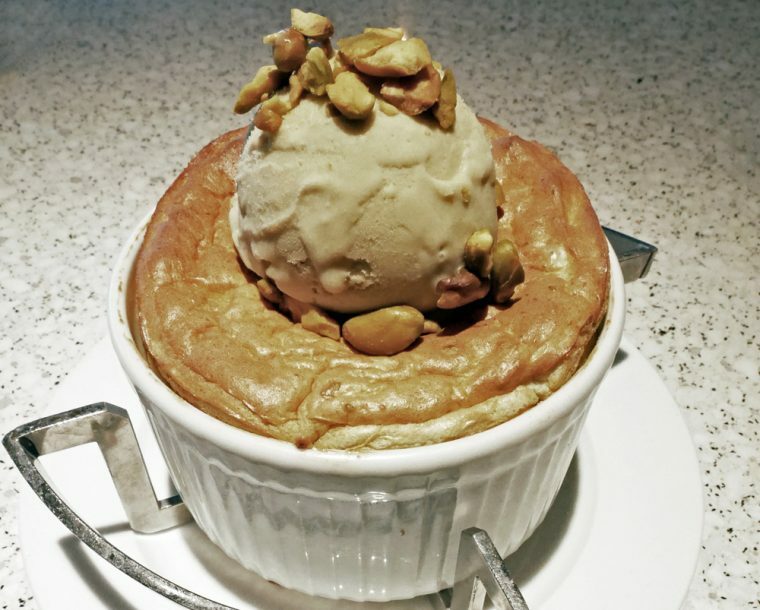 I shouldn’t have ordered a dessert, but the house speciality just happens to be soufflé and there are two sweet soufflés on the menu so I felt obliged to try. I did at least avoid the chocolate…instead opting for the equally delicious sounding pistachio and salted butter caramel. The bill was not cheap, but I hadn’t been looking for a bargain. 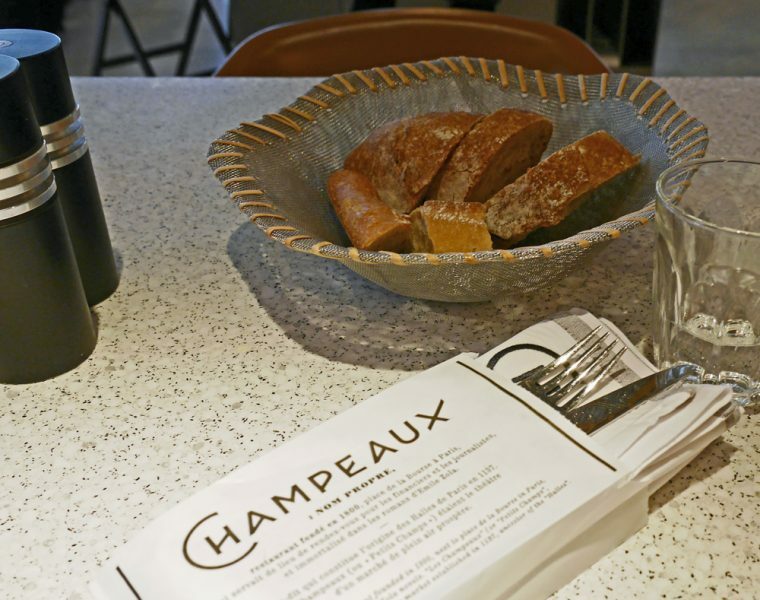 There was no additional service charge (in Paris, that is against the law) and no charge for the bread and water. So, what you pick from the menu is what you will pay for – and there are much cheaper options than the fillet steak! 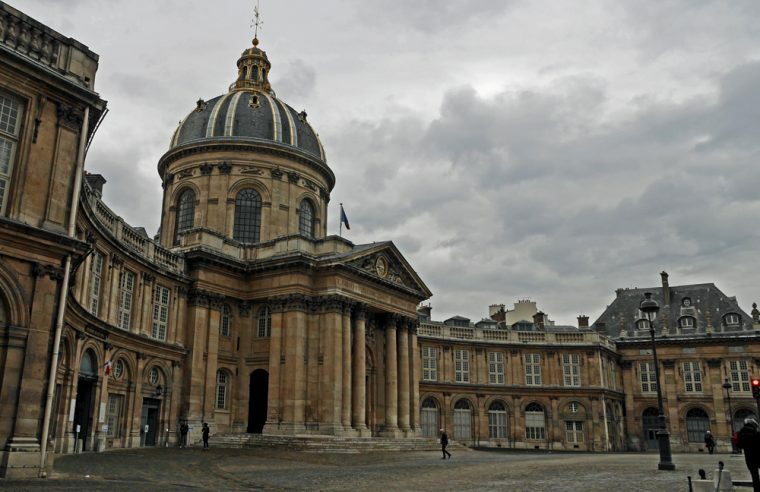 Like London, Paris is a City that is best seen on foot – even if it happens to be raining a bit. 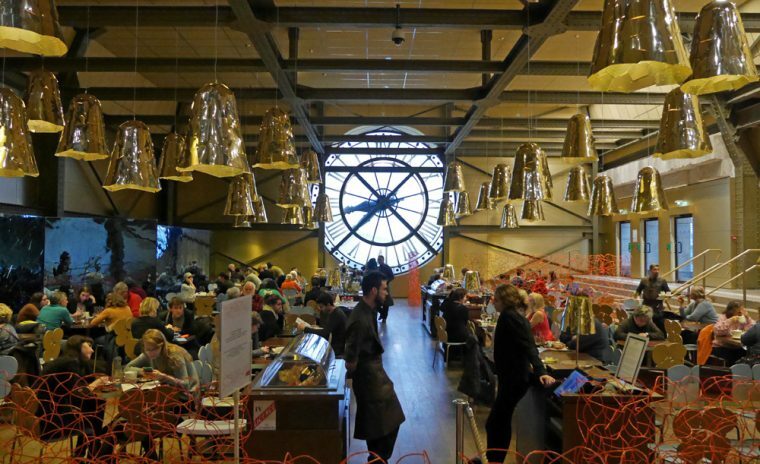 I walked from Les Halles to Musée d’Orsay in about half an hour, strolling along a dramatically grey River Seine. Once there, I’m afraid that, true to form, I went straight to the fifth floor, home to the collection of Impressionist Art. The entire gallery has been refurbished since I was last there and there’s a rather swanky new cafe on the fifth floor set under one of the clocks. The art collection has been reorganised and many of the works are now hung against a dark background, making the colours pop and the nuances of these great works really show. 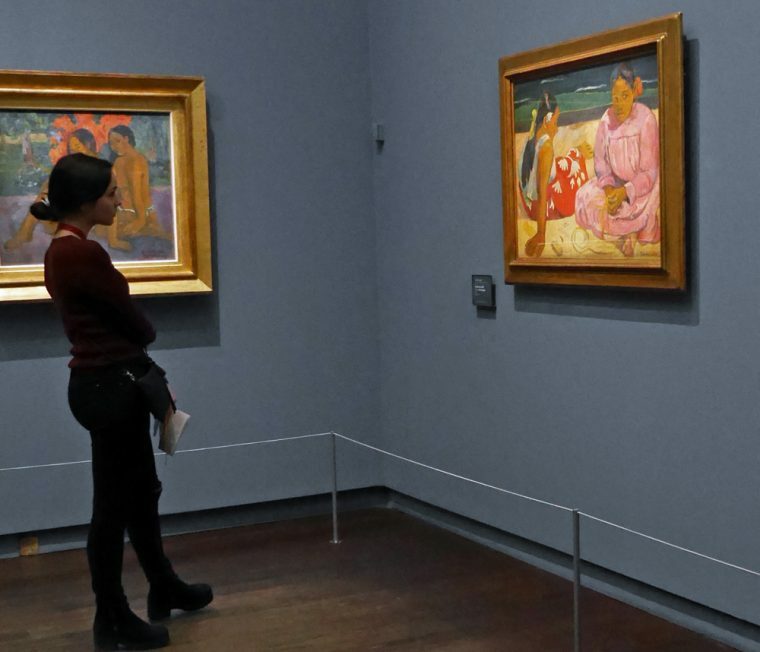 I was, for the most part, revisiting old favourites – the beautiful Monet blue waterlilies, the Degas ballerinas, the Renoirs and the vibrant Paul Gaugin paintings of the tropics. 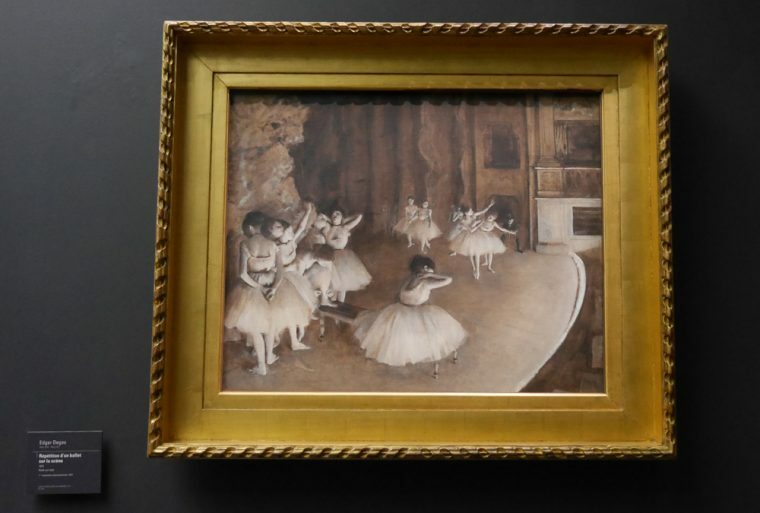 After a break in the stunningly refurbished cafe, I went to see the temporary exhibition of works by Frédéric Bazille, a contemporary of Delacroix, Courbet, Manet, Monet and Renoir who died at war aged just 28. Then, headed downstairs to the second floor. I have a strange feeling that I’ve never actually been anywhere other than the fifth floor before, but now the post-impressionists are there, along with some fascinating room settings, which I particularly enjoyed though felt I rather skipped through. My favourite by Alexandre Charpentier is titled Dining room Woodwork, a stunning Art Noveau room with decorative wood panelling incorporating two dressers, a flower box and a table. 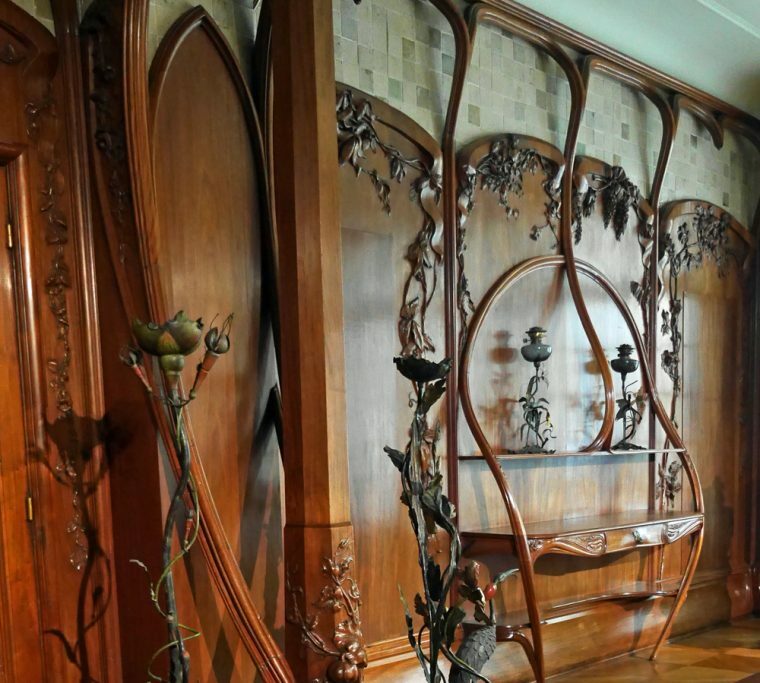 There are more room settings with works by Gaudi and Galle, but it was the Charpentier room which reached out to me. 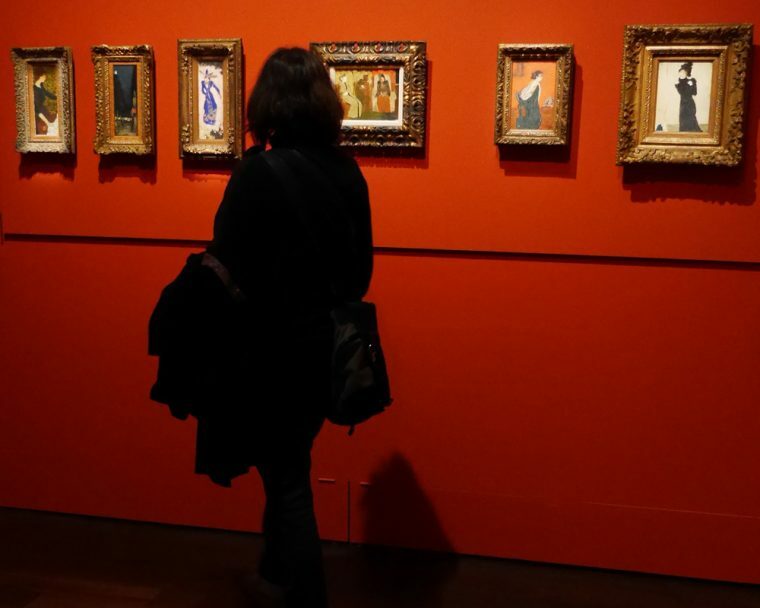 On the other side of the gallery, there are smaller rooms with exhibits including pastels and oils by Bonnard. 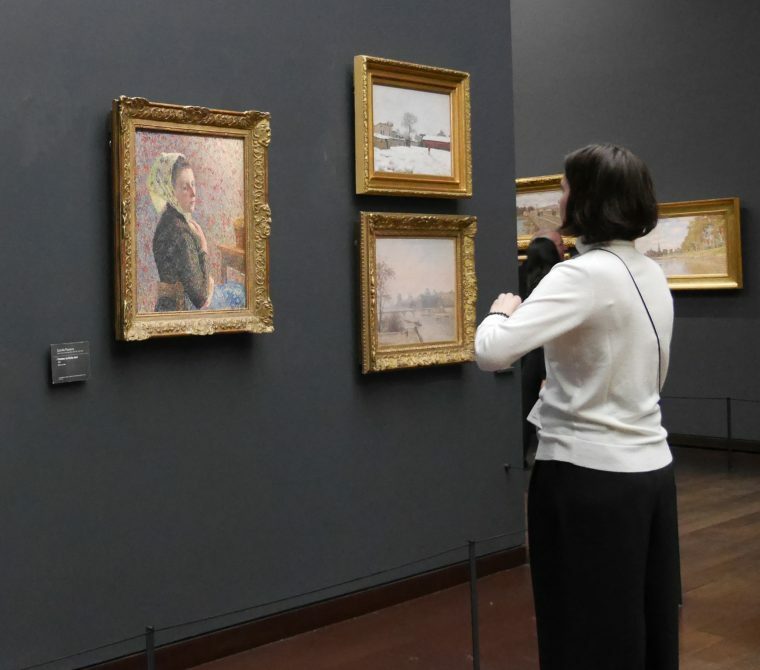 Again, I believe these are relatively new to Musée d’Orsay although as I’ve already mentioned, I always seem to be drawn to the fifth floor and the old favourites so maybe I just hadn’t seen them before. 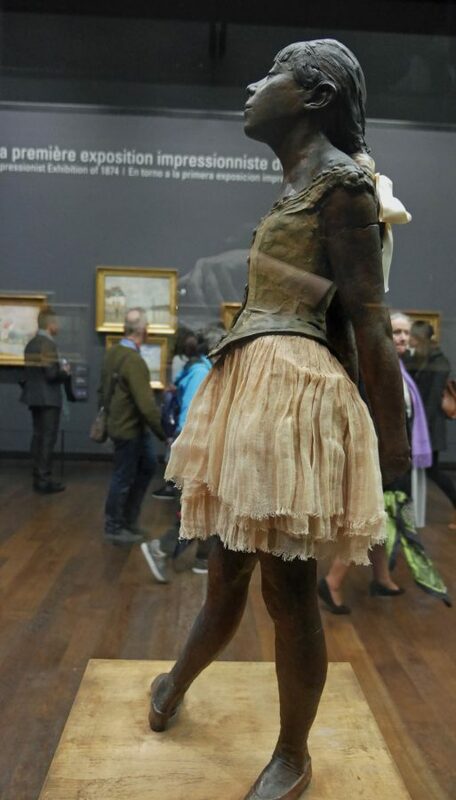 I probably spent three hours in the Musée d’Orsay and still have covered no more than a fraction of the artwork. 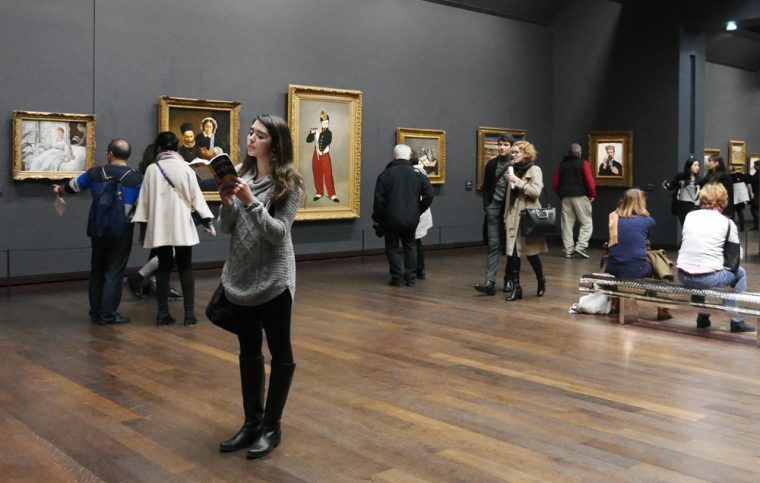 It is the sort of place where you want to sit and look at the works for hours. To check the detail, to take a step back and look again. And, so I suspect the next time I am in Paris I will be back. Back at Gare de Nord, I was grateful for the Leisure Premium ticket back. Not that I really needed to eat anything more, but a glass of Muscadet, a dainty salmon salad and some apple flan was hard to resist. And the comfy reclining seats with free wifi and charging points meant that I could work a little and catch up on mail from my day away. My voucher for the free trip to Paris was compensation for a short delay to a train journey on the way to the Caves of Perrier Jouët and Mumm. I travelled with Eurostar in leisure premium, with complimentary food and drinks. 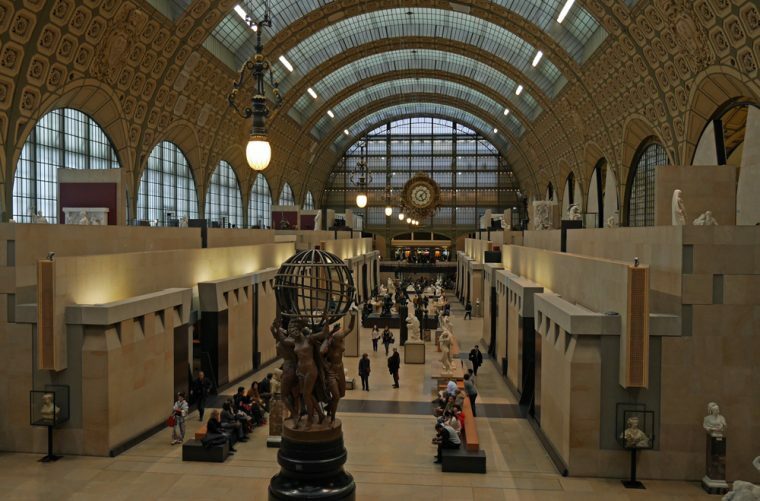 If you are thinking of visiting Paris and the Musée d’Orsay, why not pin this post for later. 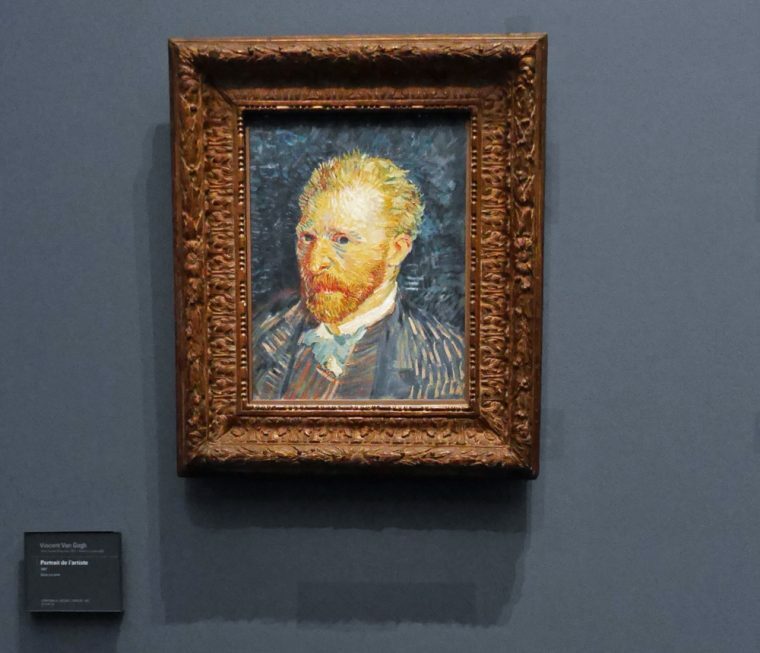 Totally agree about Musee d’Orsay being a better collection to visit than the Louvre.